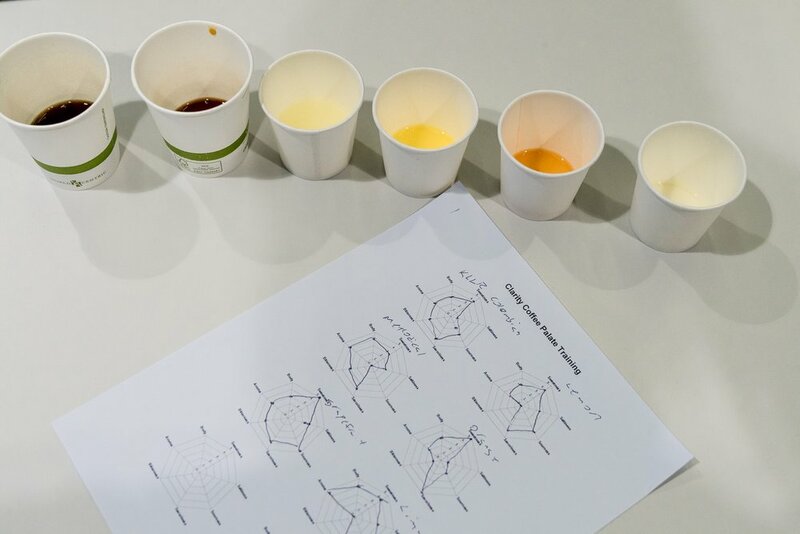 For our second palate training, we tackled citrus fruit and acidity in coffee! 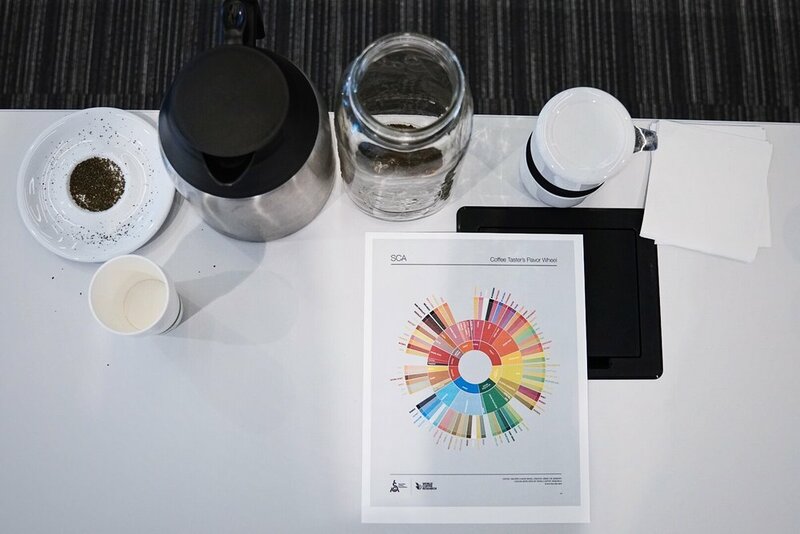 After a quick recap on how we taste, we used World Coffee Research’s Sensory Lexicon to identify the differences between lemons, limes, oranges, and grapefruit and how they related to the types of acidity found in coffee. Our ability to describe what we taste in unique. Each person’s likes, dislikes, allergies, experiences, and preferences all shape their understanding of how and what they perceive from the characteristics of what they are trying to describe. For instance, someone with a nut allergy may never describe a coffee as tasting nutty in a positive way or even be able to describe the difference in taste between a pecan or an almond. This is what makes palate trainings so helpful! By being able to compare like foods to each other, groups of people can begin to expand and develop their palate based on the experiences and palates of each other. Although coffee is only a mildly acidic beverage (with a pH of 5), the various acids present in coffee help showcase the relationship between the notes of coffee and the growing conditions and farming practices of the farm and country in which the coffee originated. Citric acid occurs naturally in coffee plants as a byproduct of photosynthesis. Phosphoric acid is only found in coffees grown in phosphorus-rich soil and is responsible for the sparkling-sweet acidity so often found in East African coffees. Chlorogenic Acid degrades rapidly during the roasting process but is one of the easiest acids to perceive in coffee. Why does a lighter-roasted coffee taste more acidic than a darker-roasted coffee? Chlorogenic Acid. Shout out to Driftaway's blog and to Maxwell Colonna-Dashwood's The Coffee Dictionary for the resources used for this class. Interested in attending something like this? Sign up for our newsletter to be among the first to know about our next class!